Madinat Zayed, 21 February 2018 – The European road champion Alexander Kristoff (UAE Team Emirates) won the opening stage of the 2018 Abu Dhabi Tour, starting and finishing in Madinat Zayed (189km), in a bunch sprint and took the lead in the General Classification. On the podium he was rewarded with the first race leader’s Red Jersey, sponsored by Al Maryah Island, and also the points leader’s Green Jersey, sponsored by Emirates Post. 2 – Andrea Guardini (Bardiani CSF) s.t. 3 – Caleb Ewan (Mitchelton – Scott) s.t. Tomorrow’s stage TV live coverage starting from 13.05. Alberobello, 12 May 2017 – Australia’s Caleb Ewan (Orica-Scott) claimed his first ever stage victory at the Giro d’Italia as he outsprinted Fernando Gaviria (Quick-Step Floors) and Sam Bennett (Bora-Hansgrohe) in a spectacular bunch gallop in Alberobello after Dmitriy Kozontchuk (Gazprom-Rusvelo) and Giuseppe Fonzi (Wilier Triestina) got reined in with 20km to go. Bob Jungels (Quick-Step Floors) retained the Maglia Rosa for the fourth day. To celebrate stage 7 of the 100th Giro d’Italia, the town of Alberobello dedicated the area next to today’s finish line to the Maglia Rosa, Bob Jungels. First win at the Giro d’Italia for Caleb Ewan. It’s his second Grand Tour victory after stage 5 at the 2015 Vuelta a España. This is the 30th stage victory for Australian riders at the Giro, 35 years after the first one, by Tasmania’s Michael Wilson in Cortona on 15 May 1982. The age of the stage winners so far this year: 22 (Gaviria, Ewan), 25 (Polanc, Pöstlberger), 26 (Dillier), 34 (Greipel). Also in 2012, two riders won a stage before turning 23: Taylor Phinney, 21, and Andrea Guardini, 22. PANTAI REMIS: Jakub „Kuba“ Mareczko gab Wilier Triestina seinen ersten Sieg der Saison 2017 in der 3. Etappe von Le Tour de Langkawi bei Pantai Remis am Tag nach seinem Teamkollegen Filippo Pozzato in der Nähe. Der verkleinerte italienische Outsprint-Stadium 1-Sieger Scott Sunderland, der in die Führung der Punkte Klassifizierung bewegt, während Ryan Gibbons von Südafrika das gelbe Trikot vor der Königsetappe behalten, um die Cameron Highlands. 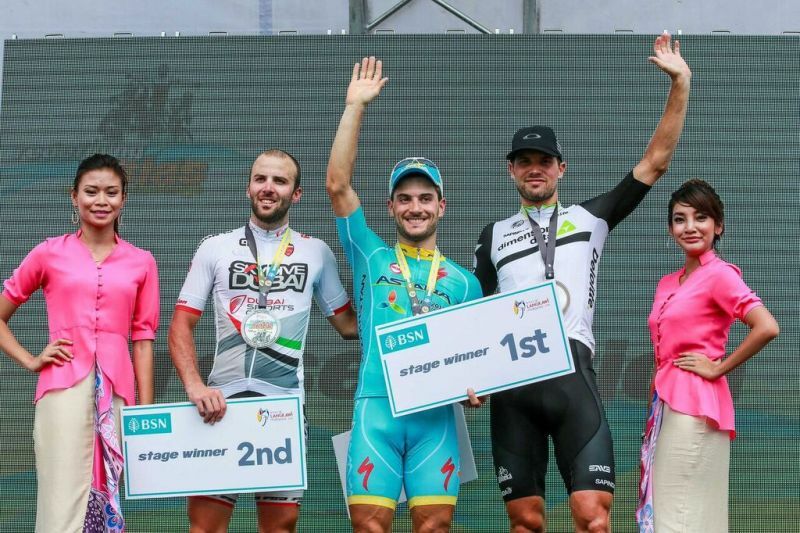 MELAKA – Andrea Guardini of Astana made it four as he also won the conclusive stage of the 2016 Le Tour de Langkawi in the middle of the historical attractions of Melaka while South Africa’s Reinardt Janse van Rensburg of Dimension Data took the overall classification of the 21st edition of Asia’s premier stage race. As he won four stages like last year, Guardini reached the exceptional total of 22 stage victories in six straight participations to Le Tour de Langkawi, a race in which he’s now the iconic rider. 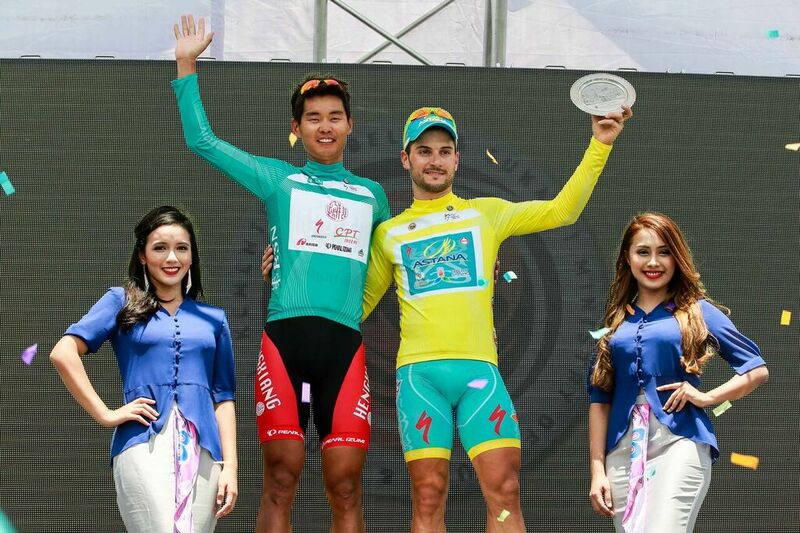 PARIT SULONG – Astana’s Andrea Guardini claimed his 21st victory at Le Tour de Langkawi in stage 7 of the 21st edition of the event. 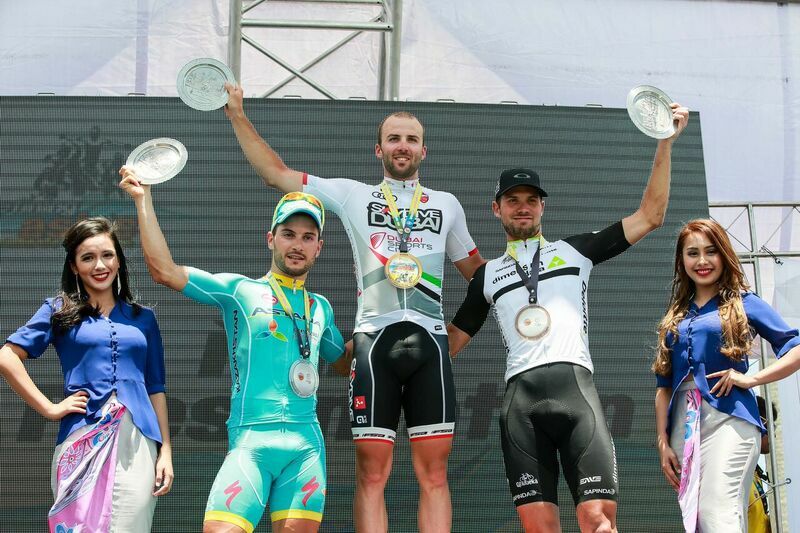 The Italian outsprinted his compatriots Jakub Mareczko of Southeast and Andrea Palini from Skydive Dubai in a tight finish at Parit Sulong where Reinardt Janse van Rensburg (Dimension Data) retained the overall lead on the eve of the grand finale in the historical city of Melaka. 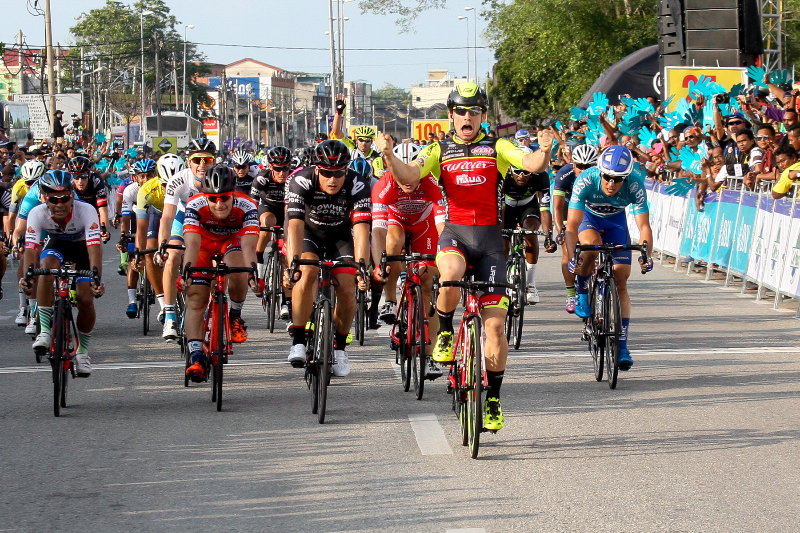 REMBAU – In a very eventful stage 6 in the 21st Le Tour de Langkawi, Jakub Mareczko of Southeast claimed his first ever victory in the Malaysian event he’s taking part in for the second time while a mechanical incident with 6km to go deprived Colombia’s Miguel Angel Lopez from Astana of the overall lead. South Africa Reinardt Janse van Rensburg racing for Dimension Data took over although he was victim of a crash with 500 metres to go, which prevented him from contesting the stage victory he was looking for. 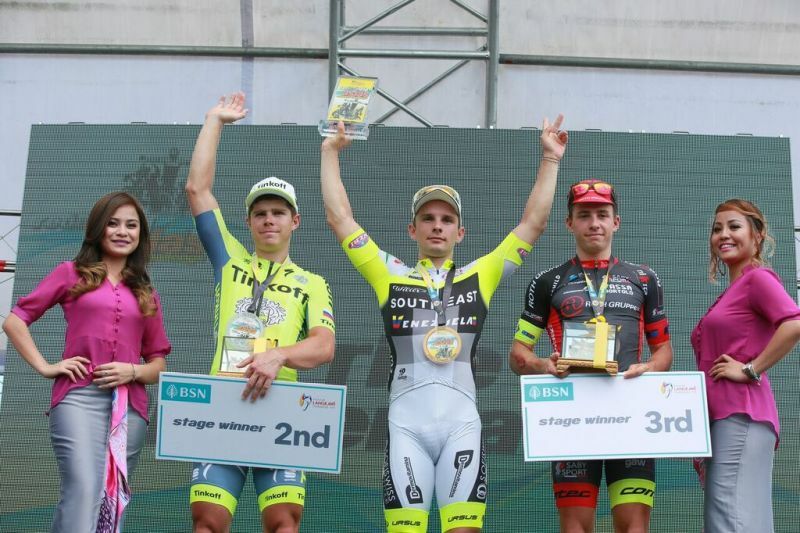 Juraj Sagan of Tinkoff and Dylan Page from Roth finished second and third respectively in Rembau. 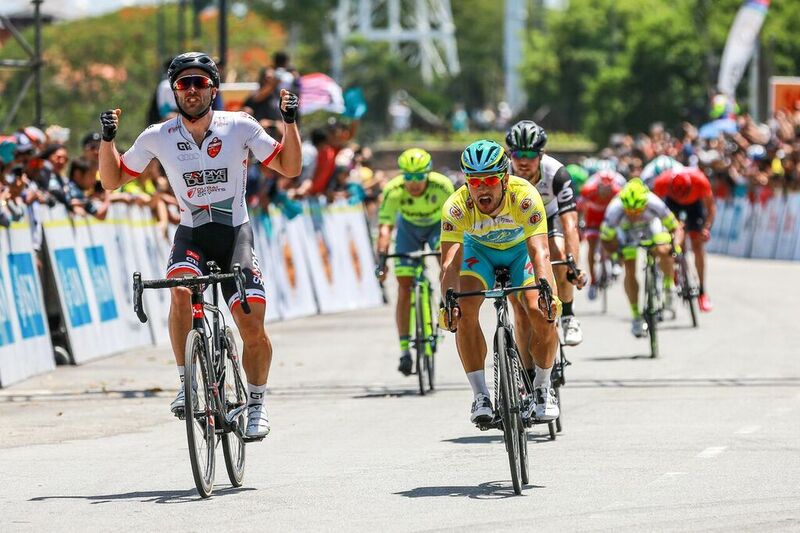 KUALA LUMPUR -Andrea Guardini became the first rider to reach the number of 20 stage victories at Le Tour de Langkawi – out of 37 in total in his six-year long pro career at the age of 26 – as he claimed the sprinters’ queen stage at Dataran Merdeka, Kuala Lumpur, making it four out of four on the race’s most prestigious venue. Coming third while stage 2 winner Andrea Palini finished second, South Africa’s Reinardt Janse van Rensburg who is second overall to Colombia’s Miguel Angel Lopez diminished his deficit from 29 to 23 seconds with three stages remaining. 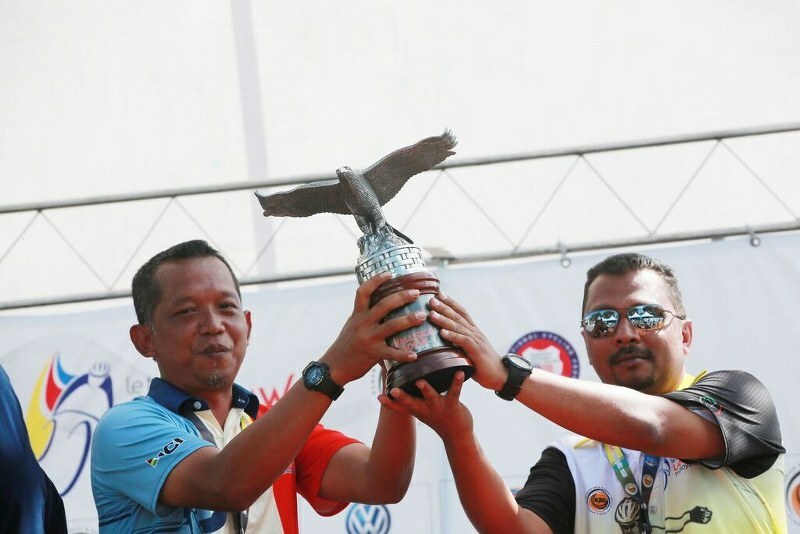 GEORGETOWN, PENANG – Andrea Palini of Skydive Dubai outsprinted Astana’s Andrea Guardini on the finishing line in Georgetown on the occasion of an unprecedented stage finishing in Penang via the 24km long second bridge and the 5km long Teluk Bahang hill. Malaysia’s Minister of Youth and Sport YB Khairy Jamaluddin was in attendance. 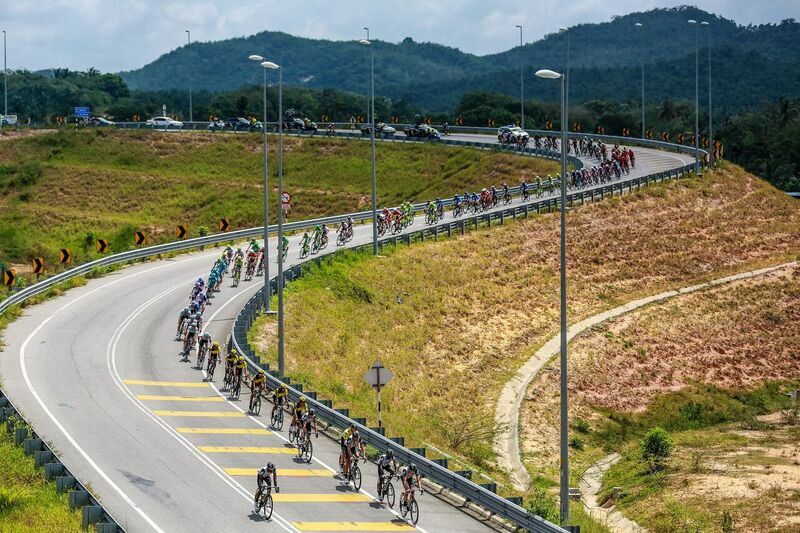 A dedicated cyclist himself, he enjoyed what will remain a memorable stage in the 20-year long history of Le Tour de Langkawi. Die Tour of Qatar sieht Cavendish nach Etappe 1 als Etappenführer. 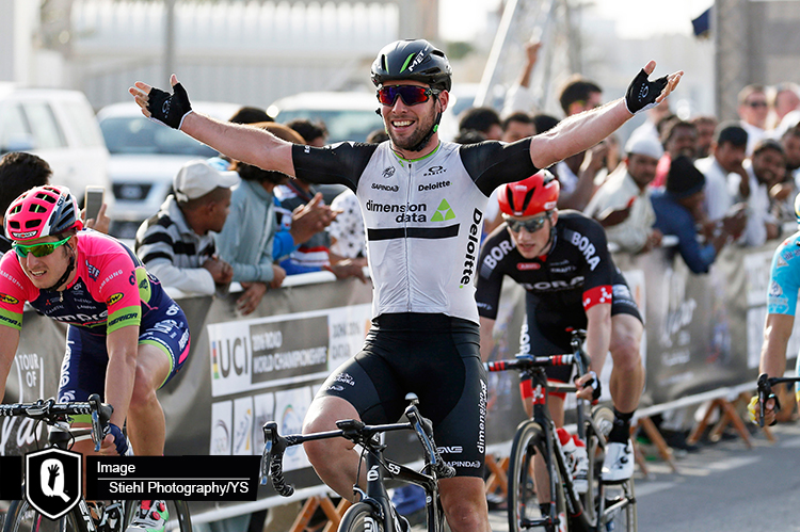 Mark Cavendish eröffnet seine Saison mit einem Sieg der 1.Etappe der Tour of Qatar. Sacha Modolo (Lampre-Merida) wurde Zweiter und Andrea Guardini (Astana) Dritter. Die Auftaktetappe der Tour of Qatar wurde heute zu einer mörderischen Start, denn eine Spitzengruppe von 21 Fahrern im starken Qatari Wind löste sich bereits nach 40 km zu fahren. Team Dimension Data für Qhubeka waren in einer großartigen Position und platzieren Mark Cavendish, Edvald Boasson Hagen und Tyler Farrar in der Spitzengruppe. Es gab eine Reihe von Favoriten in der ausgewählten Gruppe, Katusha mit 3 Teamkollegen um dort Alexander Kristoff zu unterstützen, während Greg van Avermaet (BMC), Sam Bennett (Bora-Argon), Andrea Guardini (Astana) und Sacha Modolo alle ein Teil dieser gefährlichen Spitzengruppe waren. Cavendish und Co. fuhren so stark sie konnten, eröffneten einen Vorsprung von 1’20 „auf die Verfolger. Das Hauptfeld in der starken Spitzengruppe sah ferner eine Reihe von Abstürzen ihre Jagd behindern. Es dauerte nicht lange, bis aus 40 Fahrern wurden 21 an der Front . Die afrikanischen Teams waren an einem guten Platz mit 4 Fahrern in diesem Verfolgerhauptfeld. 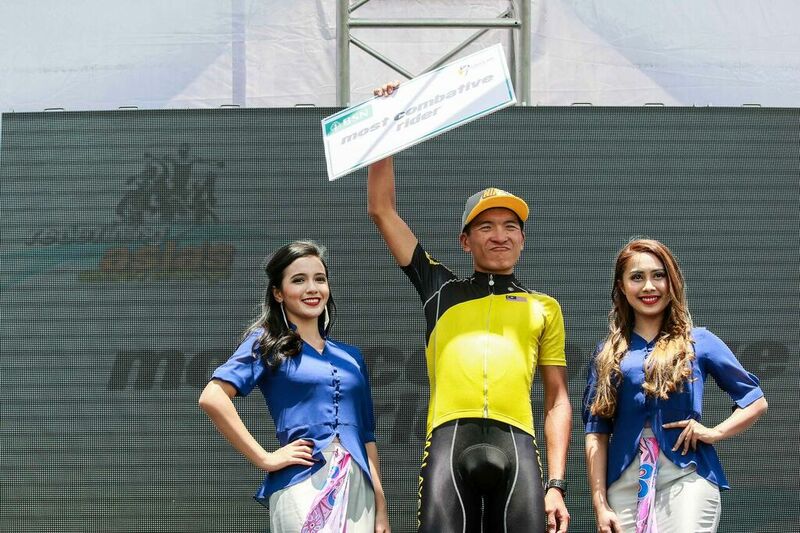 KARAK: Orica GrennEdge’s Caleb Ewan holte seinen zweiten Etappensieg in Le Tour de Langkawi (LTDL) 2015 in einem Massensprint in der 6. Etappe von Kuantan nach Karak. Ewan 21, schlug Teams Southeast Jakub Mareczko als der Favorit Andrea Guardini als Fünfter die Etappe beendete, er konnte nicht zusätzlich zu seinen Rekord von 17 Etappensiegen einen dazugewinnen in dieser kürzesten Etappe von 96.6km. Die Etappe sah eine vierköpfige Ausreißergruppe aus dem Hauptfeld flüchten doch sie wurden nach 20 km eingefangen, als das Guardinis Astana-Team startete eine Jagd.